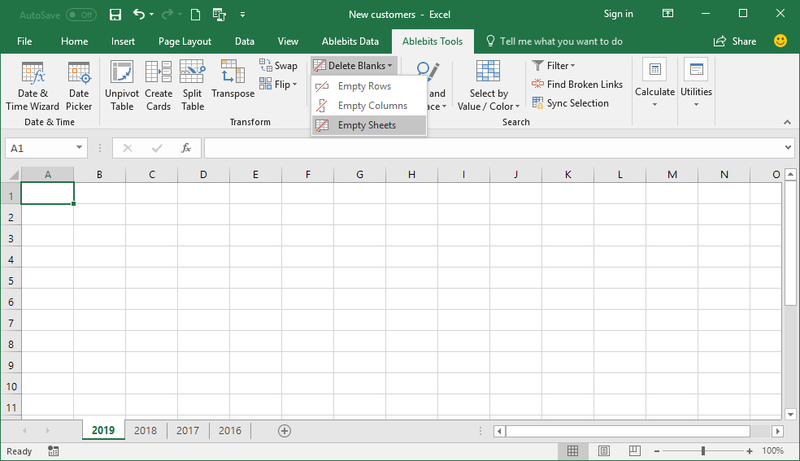 Looking for a safe way to remove blank cells in Excel? A couple of clicks will delete blank rows or columns where all cells are empty, so not a single bit of your information will be lost. The add-in can also remove all blank sheets you no longer need. 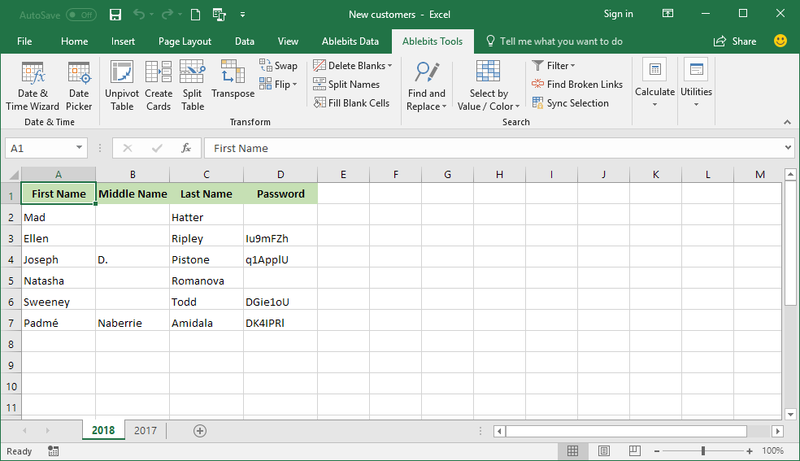 Remove blank rows in Excel Eliminate all empty lines in your table in a click. 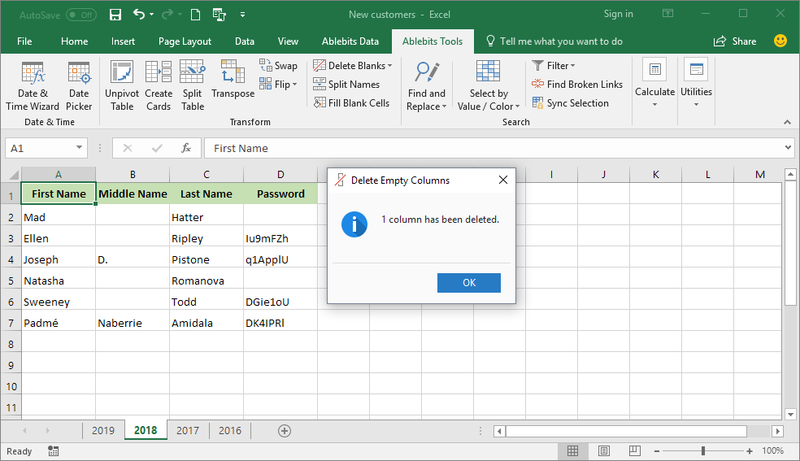 Delete empty columns Get rid of multiple blank columns in your Excel spreadsheet with a single button click. 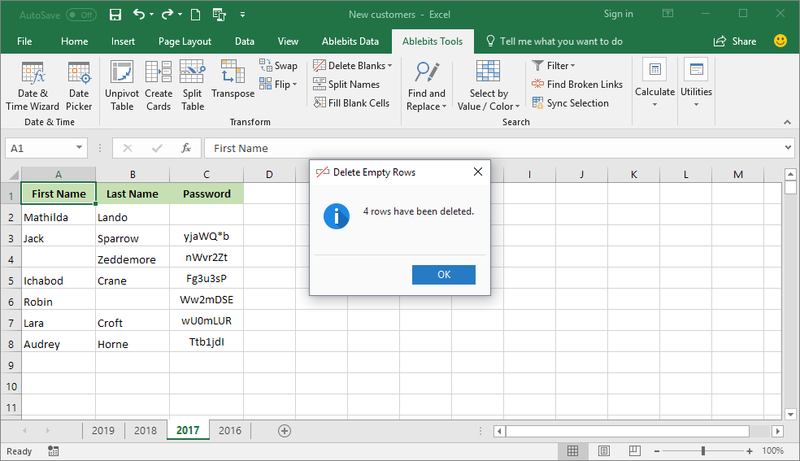 Delete blank spreadsheets Remove empty sheets from your Excel workbooks. 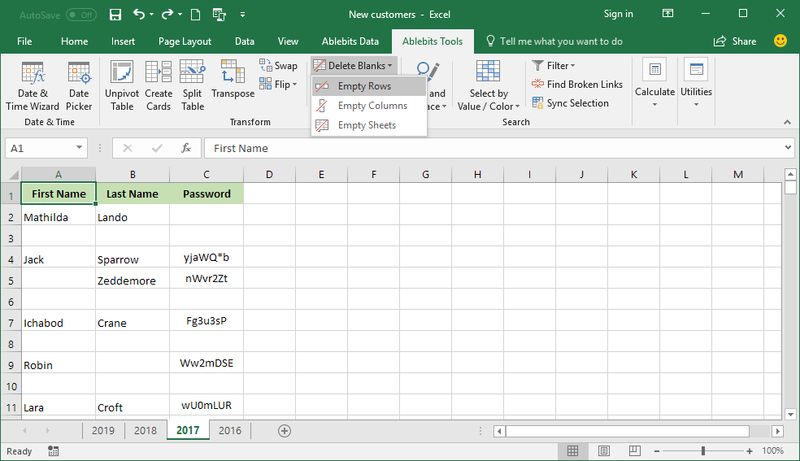 Safe way to remove blanks The tool only deletes completely blank rows, columns, and sheets. It won't remove a single cell with any information in it. What is Delete Blanks and what do I need it for? Large worksheets often contain gaps that you need to close up. 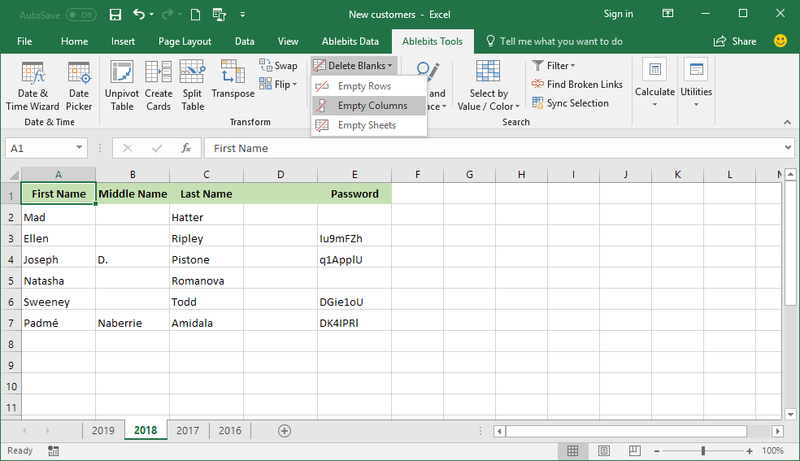 Whether you wish to remove blank rows, columns, or empty spreadsheets, the Delete Blanks tool can eliminate them all in a click. Why not get rid of empty rows by selecting blank cells and then deleting them? 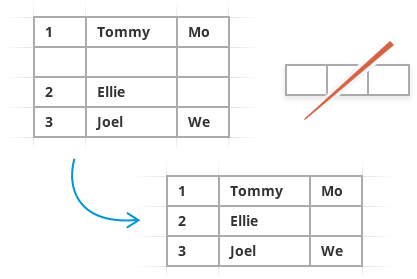 Removing empty rows via Go to Special > Blanks > Delete is the worst-case scenario because it deletes all rows that contain at least one blank cell. If you don't want to remove rows with any information in any of the columns, use our Delete Blanks utility. It only detects and removes lines, columns, and worksheets that are absolutely empty. How to remove blank rows in Excel? Select a cell in the worksheet where you need to delete blank rows. Go to the Ablebits Tools tab and click Delete Blanks > Empty Rows. How to remove blank columns in Excel? Select a cell in the worksheet where you need to delete extra columns. Head over to the Ablebits Tools tab and click Delete Blanks > Empty Columns. How to remove blank spreadsheets in Excel? Open a workbook where you want to delete empty pages. On the Ablebits Tools tab, click Delete Blanks > Empty Sheets.